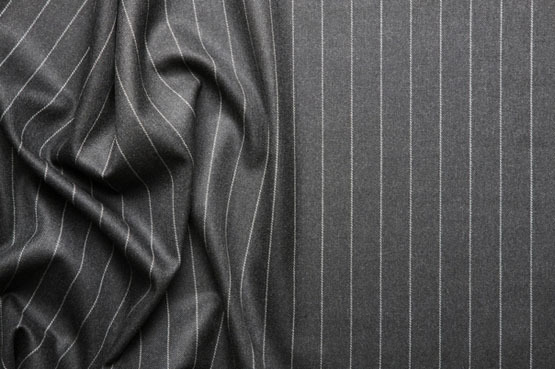 Designed to gracefully fit the buyer, bespoke suits are a creation which is one of its kind. It is custom made, that is, from buttons to pockets, from color to fabric; everything is decided and picked especially by the buyer. The forte of these suits is the fine detailing. They are preferred by men on a world-wide basis as it accentuates various aspects of handsome and raises it to striking. Originally applying just to the tailored shirts, the term ‘bespoke’ has come a long way. Giving full control in the buyer’s hands, bespoke suits are specifically designed for men who put on view attributes of charisma, power and dexterity. Being somewhat synonymous to the styling of haute couture, bespoke suits are very specifically designed and tailored as per the buyer’s claim; hence the term, ‘custom made’. Originating primarily in the United Kingdom, today bespoke suits are used exclusively in fashion circles representing a very high end custom tailoring; and also to denote a high class suiting business. Respecting the legacy of the finest tailoring, bespoke suits are made from various patterns cut out from scratch delivering every suit as a master piece in its own kind. Despite the inception and agility of the idea of ‘ready to wear’ clothing and ‘off the rack’ apparels, Bespoke suits haven’t lost their charm. Still preferred by innumerable men of class and dignity, these custom-made suits set a class apart, as these do not adhere to the very common, adjusted block pattern of tailoring. Bringing such master pieces to the people all around the world, Ravens International has been setting standards up to sky limits. Operating originally from Hong Kong, this immaculate Suiting and Shirting Company has been reaching out to clients all over the world. While custom tailoring has made its own attractive allure, there are still huge differences between good tailoring and fine tailoring. Ravens International gives you the promise of the finest tailoring. In vogue with the latest trends and designs, our bespoke suits have been bringing out the very best in their clients, be it anywhere. Another very important feature of the bespoke suits is that these are unique in themselves. One need not worry of running into someone else wearing the same suit as them. Turning such impeccable ideas into finely crafted bespoke suits, Ravens International is a top notch for fine tailoring and suiting. Delivering services that have been above reproach since 1988, Ravens International understands the client’s requirements better than nobody else. Bespoke suits are one of their very best produce, amongst various other male tailoring fashions. Tending to each client personally, in and about Hong Kong and also globally, they bring out the true worth of bespoke suits.